Please be at the venue at least 30 minutes before the grading commences to give yourself enough time to get changed, find the training hall and register as we will be starting promptly. Firstly, please ensure you bring your official IKMF T-shirt and trousers. This uniform is mandatory for all national gradings / events. We will be training in a public location, therefore we would like to ensure that the IKMF continues to maintain it’s high standards and professionalism. • Plenty of water. It is very important to stay properly hydrated. • All Protective equipment. Groin guards are essential, and mouthguards are recommended. • Any training equipment relevant to your grade. i.e. Knife, Stick, Focus pads, Kick shield. Please ensure you bring along your IKMF Passport if you have been issued with one. 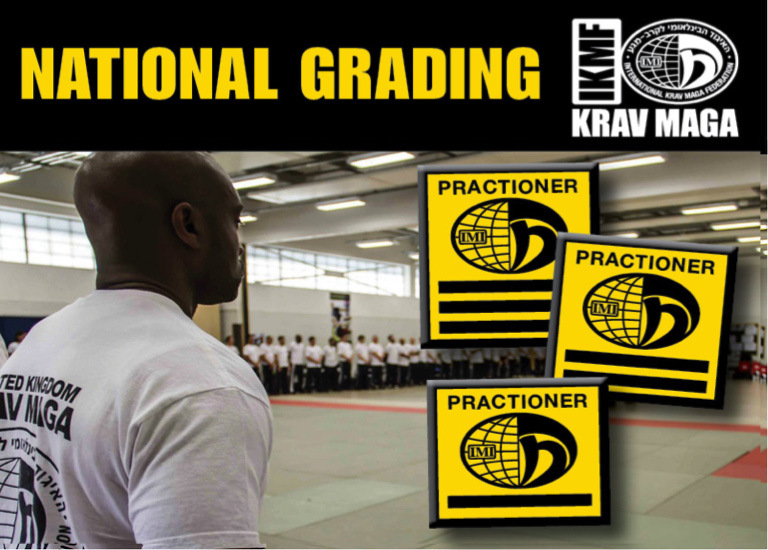 Welcome to the official website of the International Krav Maga Federation (IKMF) in the United Kingdom. The International Krav Maga Federation (IKMF), is the original and most veteran Krav Maga organization.